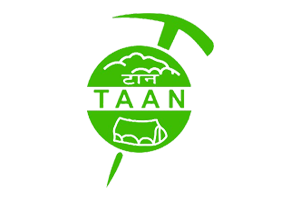 The founding members and all the operational staff of this enterprise are efficient, diligent, honest, hospitable, and are recognized veterans in trekking and tourism in Nepal; most of them have assumed diverse responsibilities in pioneer agencies in this field for over a decade. First-aid and Basic Paramedic Emergency Training is mandatory for all our guides and other field staff. In addition to this, all our guides and relevant staff are trained through class lectures and group activities on the history, culture, religion, ethnic diversity, and the geography of Nepal in general, and of the relevant field sites in particular. The field staff, as well as the trekking porters, is fully insured, inclusive of that for high altitude climbing. Porters are also provided the clothing necessary for high altitude climbing. During the busy seasons, our company is open seven days a week with long working hours, which facilitates inquiries and problem statement from our guests (clients). Even during off season our company is open six days a week with regular working hours; from Sunday to Friday, 9 am to 6 pm. We humbly claim that out of all the trips provided by travel and tours agencies in Nepal, are the most adventurous and memorable trips, incredibly safe and also at a very reasonable price. Our services range from peaceful cultural tours to Trekking & Mountaineering Expeditions in the entire Himalayan territories of Nepal, Tibet, Bhutan and India. Our Company is fully equipped with all trekking and climbing equipment. The assurance of the smooth continual provision of thoroughly checked best quality equipment has always remained our priority. We focus on the importance of technology in communication with the provision of facilities like international calls, fax, e-mail, and the internet, and the incessant search for technological advancements in communication. We have computer and Information Technology experts regularly updating our website and ensuring a smooth flow of sufficient and complete information network for all our offices. Our company generally uses its own vehicles for transportation, hence precluding any chances of the nuisance and harassment of long waiting hours to our guests. Safety is our first priority! In spite of the adequate precautionary measures taken in this respect, accidents and mishaps are sometimes inevitably interlinked with adventure. Hence, we also focus on the efficiency and smoothness of our rescue operations. During emergencies, our company has the provisions of instantly arranging a rescue helicopter, be it a military or a privately owned one, in the interest of the safety of our guests. Frequent meetings are held among the staff and management to review the overall activities, encountered constraints and their solutions, and other areas of overall improvement. In view of the fact that our guests and the guide may realize the necessity of an alteration in the planned itinerary due to natural or social factors, our company has entrusted the authority of relevant decision-making upon the guide responsible for the trip. 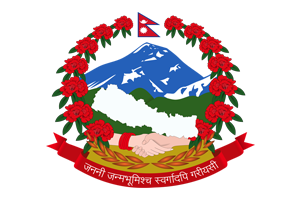 The guide is required to inform any such changes to the central office at Kathmandu. We are earnestly committed to the preservation of our culture and conservation of our natural environment. In a realization of the fact that most of the income of a trekking agency depends on the various mountain peaks, natural plantations, and wildlife conservations of the nation, our company also contributes to ecological preservation and environmental cleaning. Such activities are generally conducted during off seasons. Our Company has allocated a certain percentage of its annual income as a charity to a non-profit orphanage; which is striving to improve the lives of thousands of orphans from all over the country. Effective from last year our company also contributes to relief funds and other social activities. Our company explores new routes, in the hope of opening up more adventure opportunities to our clients, and with the aim of providing employment and means to the poor local people of the region. Interested clients wanting to come to Nepal who need information can do so from their respective countries with our liaison offices at different countries.